Super Trade Shop Ltd is based in Cheshire, North West England and is the owner of 4GLte.eu website; Specialised in mobile broadband devices like 4G LTE Routers, 4G LTE modems, 3G Routers and modems as well as a broad range of Antennas for 3G and 4G devices. 4GLTE is the online shop that specialises in supplying everything you need for maintaining, installing, upgrading, and using 4G Lte, 3G, GPRS, mobile data and Internet, wifi, and VoIP technology. We have formed long term relationships with trusted and well known suppliers including: Huawei Technology Ltd, ZTE Technology Ltd, Sierra Wireless, DrayTek, MikroTik, Pepwave, and Ubiquiti. In the Mobile Internet section of the shop we have 4G LTE wireless broadband routers and USB modems in stock, as well as 3G routers and modems. You will find everything you need to get connected to the Internet while mobile or travelling for business or pleasure. Choose the router to meet your needs from a large selection all with their own specific uses and benefits. You can connect by cable with our ethernet routers, or use a wifi router option. For large numbers of users, or to allow connection across large areas, we offer wifi access points for both indoor and outdoor installation. Our stock of antennas has the most common connectors: CRC-9, TS-9, SMA, and we are here to help you identify the connector you need. The perfect solutions to boost your signal and connect when in areas of poor reception. 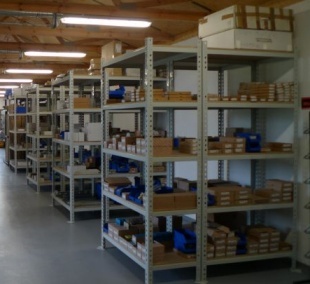 To connect your equipment we have a full range of RF cables and connectors all available for delivery from stock. For 4G and 3G signal problems we have plug-n-play signal boosters. Stop missing and dropping important calls, and extend the battery life of your phone by reducing its power requirements. See the difference these cutting edge signal boosters can make compared to traditional analogue boosters. Get low priced data roaming anywhere in the world with WorldSIM, the 4G data SIM that allows you to break free from the restrictions of searching for wifi connected locations. Use VoIP to hold conversations over the Internet from any location you can access the web, saving you money and ensuring clear communication. We also stock surveillance equipment, to protect your home or business premises, with all the technical features you would expect. View what your surveillance cameras see from anywhere using the system’s app. We supply technologically advanced, high quality equipment, and the small but equally important parts and connectors that make the technology work. We also offer advice and information to help you to select the best options to complete your project. The LTE is an acronym of Long Term Evolution for 4G wireless communications standard. It is most commonly marketed as one unit – 4G LTE. Simply put, 4G LTE improved on regular 4G by providing data transfer speeds of up to roughly 300 Mbit/s. The standard has been developed by the 3rd Generation Partnership Project (3GPP). It is designed to provide up to 10x the speeds of 3G networks for mobile devices such as smartphones, tablets, netbooks, notebooks and wireless hotspots. www.4GLte.eu cooperates and works closely with international suppliers and leading manufacturers of mobile broadband technologies such as brands like Huawei, ZTE, DrayTek, Sierra Wireless, Netgear, ZTE. We operate a 14 days money back guarantee on all of our products, if they are returned with original packaging in resalable condition. The company does not have any stationery shop. All trade takes place in the Internet only.